This Event has no scheduled dates at this time. It last occurred on Saturday, February 2, 2019. 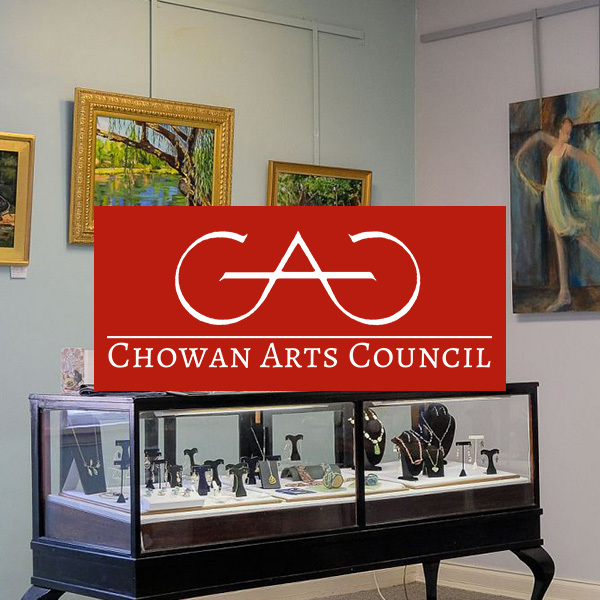 The Chowan Arts Council, Pocosin Arts School of Fine Craft and Maureen McCarthy invite you to experience the life and creativity of Bruce Barnett. Selections from his work as a metalsmith, sculptor, woodworker, leatherworker, painter, lapidary and teacher will be displayed at this retrospective exhibit. Some of it will even be available to purchase. Come celebrate Bruce Barnett's life and artistic contributions, and enjoy beverages and hors d'oeuvres in the company of your fellow art enthusiasts.